It's Friday, y'all!!! Do a happy dance! 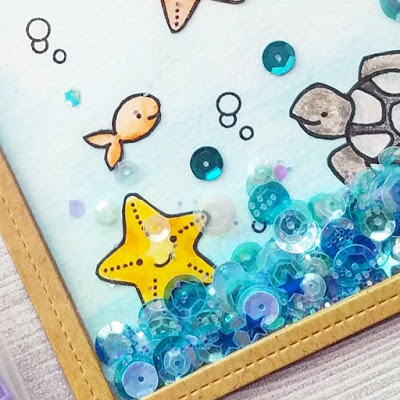 Today I'm sharing a sneak peek of my card that will be up on the Butterfly Reflections, Ink Blog tomorrow, and I'd also like to chat about my favorite coloring media. 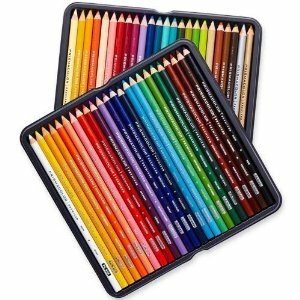 While I am no expert at ANY of the techniques I use with these coloring tools, I'll offer some reviews of different products and compare them with each other. I hope to do a separate post for each medium so I can discuss the finer details of these tools in greater length. 1. Paper is important! The type of paper you use with these products makes a big difference in the finished product. 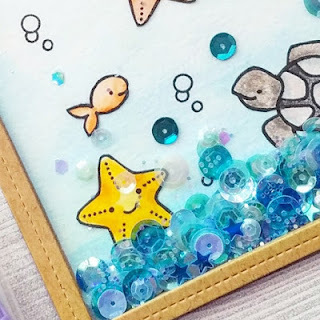 Experiment with different types of paper and take photos of your projects so you can see the difference. 2. Swatch it! Regardless of how many products you have, do yourself a favor and create a swatch book of some kind. I highly recommend Jennifer McGuire's ink swatch downloads. While I won't be talking about inks in today's post, she has editable versions that you can make to reflect whatever coloring product you're using. Find them here. 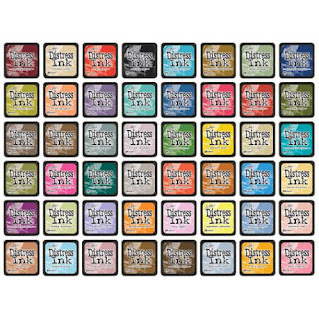 Distress inks are a Tim Holtz product and they have some awesome properties. They react with water, so they are a great tool for watercoloring. I don't recommend stamping with these inks because it's difficult to get a solid image. These inks are also great for ink blending techniques when using some kind of ink blending tool. I personally use the mini ink blending tool that's also made by Tim Holtz. The small round foam discs can get into small spaces easily and they fit perfectly underneath the mini ink cubes. Find the ink blending tool here and the ink pads here. Speaking of the ink cubes, I actually don't own many of the large ink pads. Instead I have lots more of the mini ink cubes. The only color that I would recommend getting the full ink pad in is the Antique Linen. I use my full size Antique Linen ink pad for all of my no-line watercoloring techniques. It's easier to get a better stamped image with the full ink pad, but because I usually am using these inks for painting and ink blending, it doesn't matter if I have the full pad or the mini. The mini ink pads are also at a better price point since several local craft stores sell them in sets of 4. 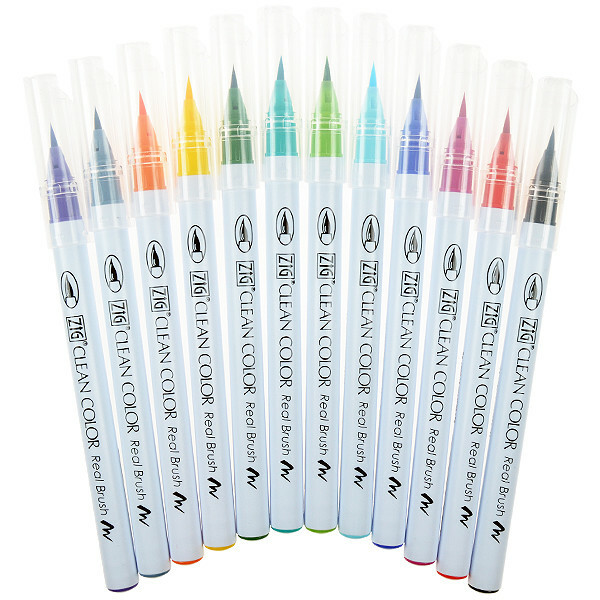 These markers are also great tools for watercoloring because they react with water as well. They have a real brush tip that moves like a paintbrush. If you're into hand-lettering, then these are a great tool to have! 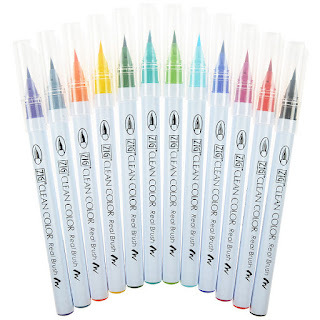 I love the vibrant colors of these pens, and they blend SO well (if you have the right paper!). You can also touch the tip of one pen to another to get a custom blend of color for your project. Find them here. So, there are a LOT of different brand of colored pencils out there. To be honest. I have only tried Prismacolor, but that is mostly because I am so happy with them and haven't felt a need to invest in anything else! These pencils blend together amazingly well and have such a buttery texture that it's hard to be unhappy with their performance. I recommend getting the Prismacolor Blender pencil as well because using that little guy will help you make the magic happen! Find the pencil sets here (for an amazingly good price right now!) and the separate blending pencil here. I also use Distress Markers, Copic Markers, and other watercolor media, (currently LOVING this one), but the three I just mentioned are the ones I reach for most often. I hope to do a separate post on each of these media and the types of paper that work well with all of them, but in the meantime--thanks for stopping by and have a wonderful day!